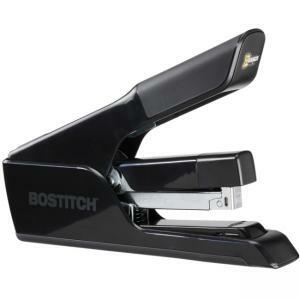 EZ Squeeze 75 skillfully staples 2 to 75 sheets with only one staple size, and the EZ Squeeze mechanism offers you smooth stapling with 50 percent reduced effort. Quiet performance makes it ideal for open office areas. Using only the EZ Squeeze 70 Premium Staples conveniently eliminates the need to stock multiple sizes of heavy-duty staples and delivers up to 3-3/4 times higher sheet capacity compared to traditional desk staplers. Adjustable paper guide offers you customized consistent staple placement. Oversized comfort grip allows you to staple high sheet counts with utmost comfort. Flat Clinch System provides neater paper stacks that require up to 45 percent less filing space. Antimicrobial protection and its iconic sleek design complement any office or communal space. 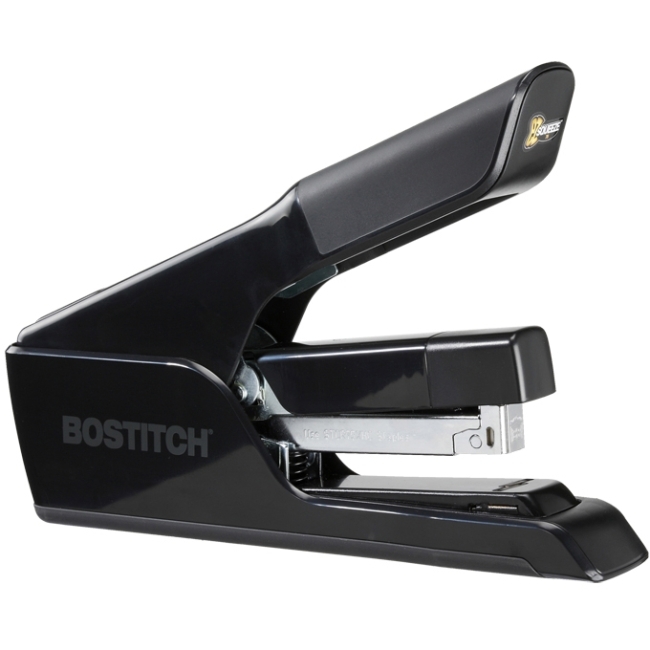 Heavy-duty stapler also offers a nonskid base for stability and FastLoad push-button, staple-refill system. Magazine capacity is 210 staples.